Note: As I write this, I'm sitting in the Odyssey Center in Epcot cheering on Team USA. It's packed, and crazy fun, in here! 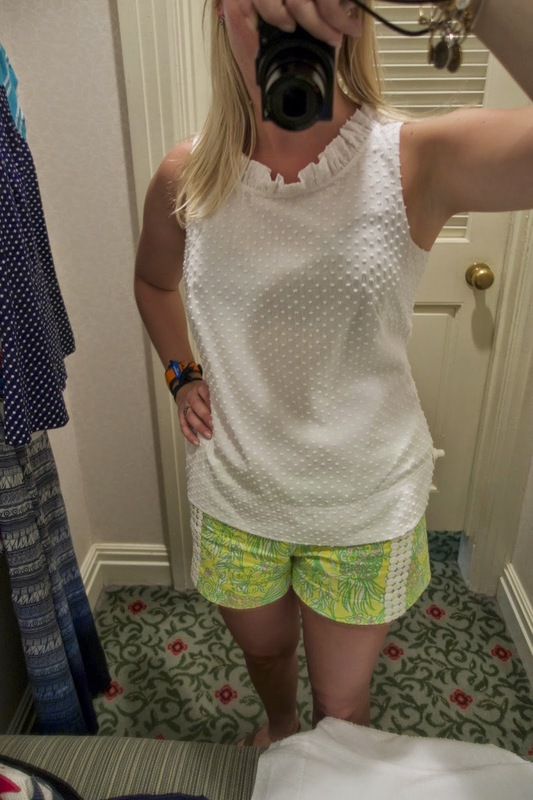 A few days ago, I decided to stop into my favorite merchandise store on Walt Disney World property- Summer Lace at the Grand Floridian. 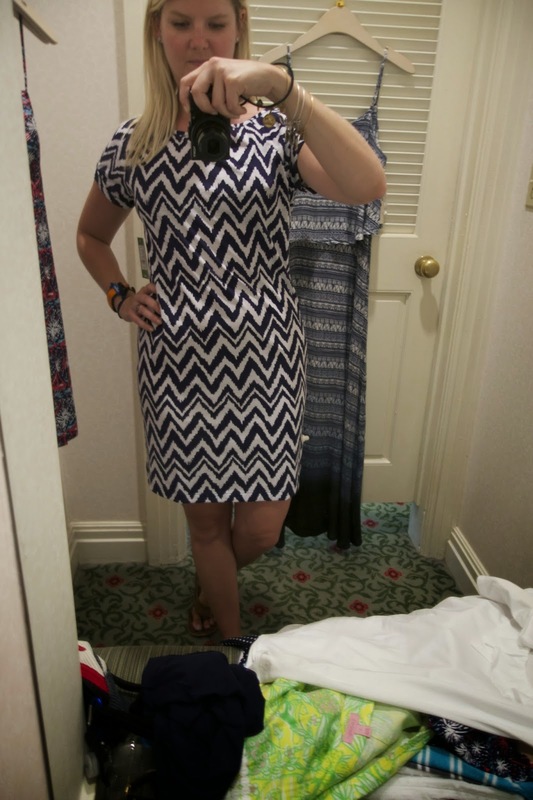 Not only is The Grand my favorite resort, but Summer Lace carries my favorite clothing line, Lilly Pulitzer. I always make it a point to pop in and see the latest collection when I'm in that neck of the woods. On this visit, there was no shortage of red, white and blue. Lilly always releases a Forth of July inspired print this time each year, and as of late, they've all included elements that glow in the dark! 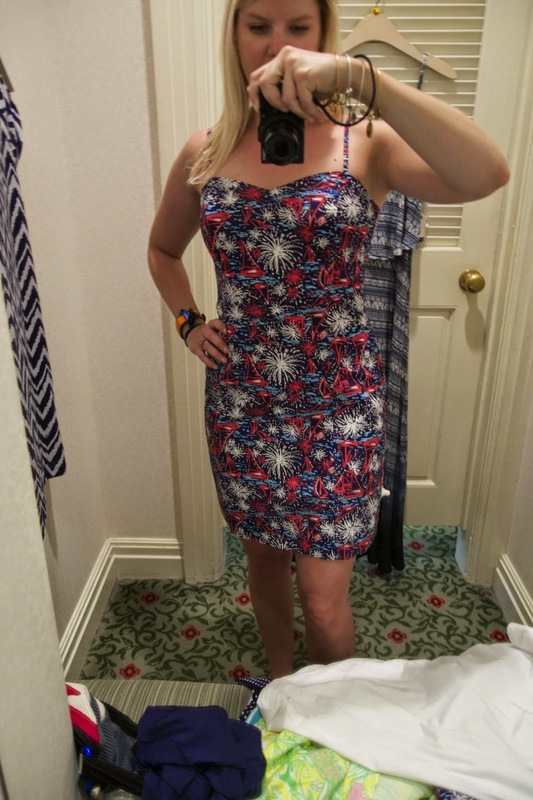 I did the dirty work for you and tried on a variety of looks that would be perfect not only for the Fourth of July, but also to cheer on our team in the World Cup (fingers crossed I get more mileage out of these threads and we beat Germany today!). So, without any further ado, here are the looks I love. U-S-A! U-S-A! U-S-A! So what did I go with? See below. 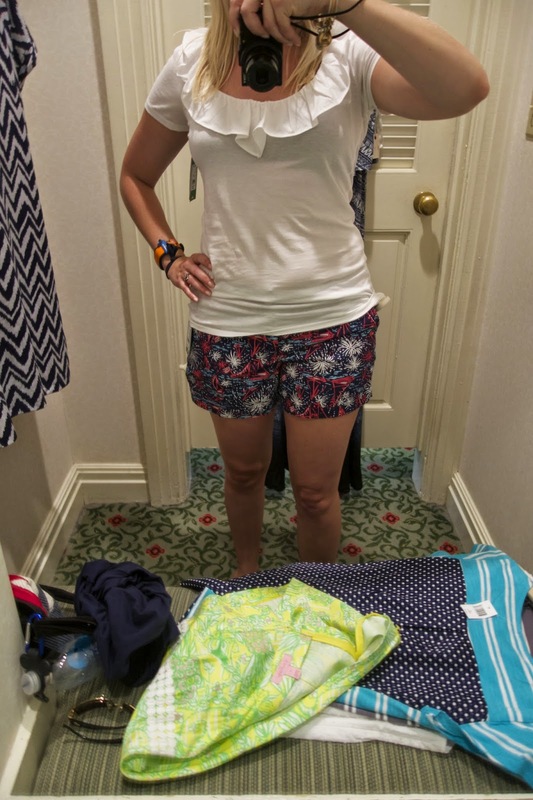 The Vineyard Vines top and the Lilly Pulitzer shorts, along with my forever-old Havaianas. Oh, and a survey marker for good measure. This pictures was featured on my Instagram; while you're there, check out the #surveymarkerclub hosted by an awesome Disney photographer, @jefflipack . Ok, game time! 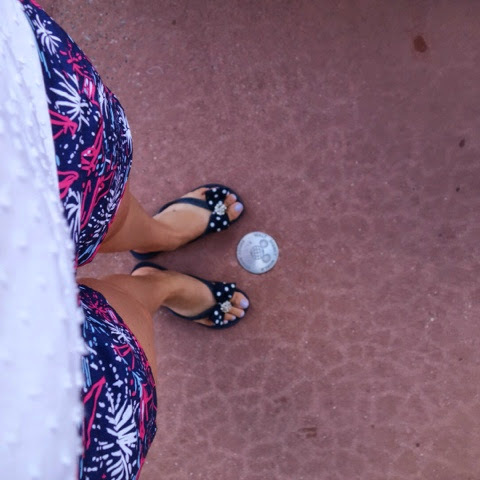 Check back on the Fourth of July for outfit details featuring a cameo by the American Adventure Pavilion in Epcot! Perfection! And you are goooood to be able to blog on the go. USA!!!!!! You are just the SWEETEST! Thanks for your support and comment. Made my day.